There has been a lot of scientific studies proving that speaking more than one language makes your brain more flexible and helps you process information faster. However, do you know that learning languages brings you many other benefits? 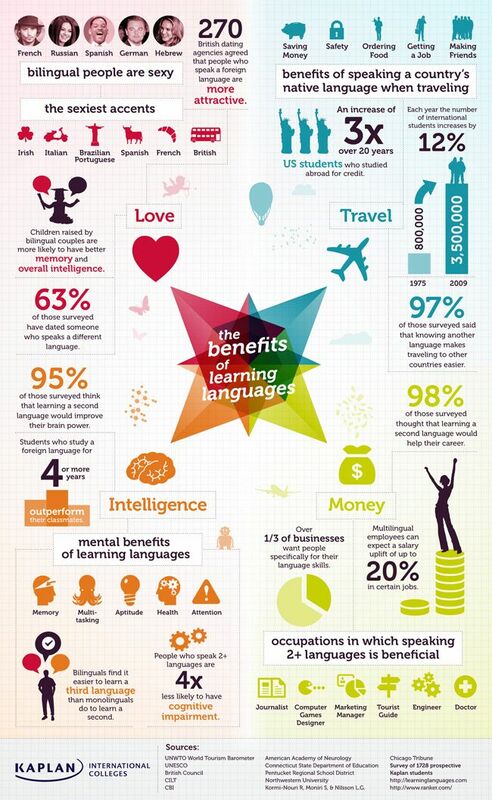 Let’s have a look to our infographic below to see some of the most interesting benefits of learning languages! How many languages can you speak? What do you think the benefits are from speaking more than one language?